Daniel Hoban is the President of Spectrum Financial Resources and a Registered Principal with United Planners Financial Services. His professional background includes over 35 years in the financial services industry. For the past 25 years, he has been involved in securities brokerage and financial planning. As a currently registered representative of the Broker/Dealer United Planners Financial Services, Member FINRA and SIPC, Dan continues to be involved in securities brokerage products and services. 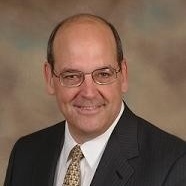 He also has experience in the areas of retail banking and life/health insurance. Over the years, Mr. Hoban has worked with General Motors, Modern Engineering, and Macomb County to offer workshops for their employees. His areas of experience are retirement planning and investment advisory services. He offers comprehensive financial planning services to his clients.